The number of uninsured individuals and the rising cost of health insurance have been long-standing issues. The Patient Protection and Affordable Care Act (PPACA) mandated that most individuals have health insurance that provides minimum essential coverage or pay a tax penalty. To make health insurance more affordable and expand access, PPACA created the advance premium tax credit (APTC) to subsidize the cost of exchange plans‘ premiums for those eligible. This book examines what is known about the effects of the APTC and the extent to which affordable health benefits plans are available and individuals are able to maintain minimum essential coverage. Furthermore, new federal tax credits, authorized under the PPCA, first became available in 2014 to help certain individuals pay for health insurance. The tax credits apply toward premiums for private health plans offered through exchanges (also referred to as health insurance marketplaces). 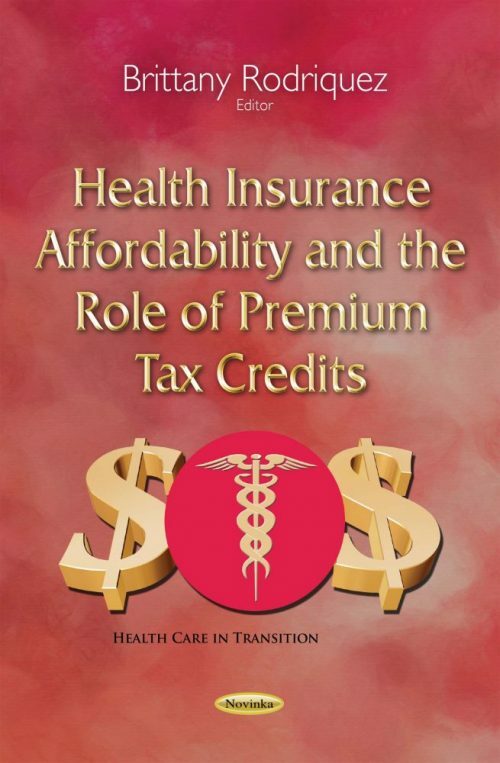 This book provides examples of hypothetical individuals and families that qualify for the premium credits and describes the eligibility criteria applicable to the premium tax credits and cost-sharing subsidies, and the calculation method for the credit and subsidy amounts. It also highlights selected issues addressed in the final regulation and guidance on premium credits and indicates the status of implementation, where relevant data is available.